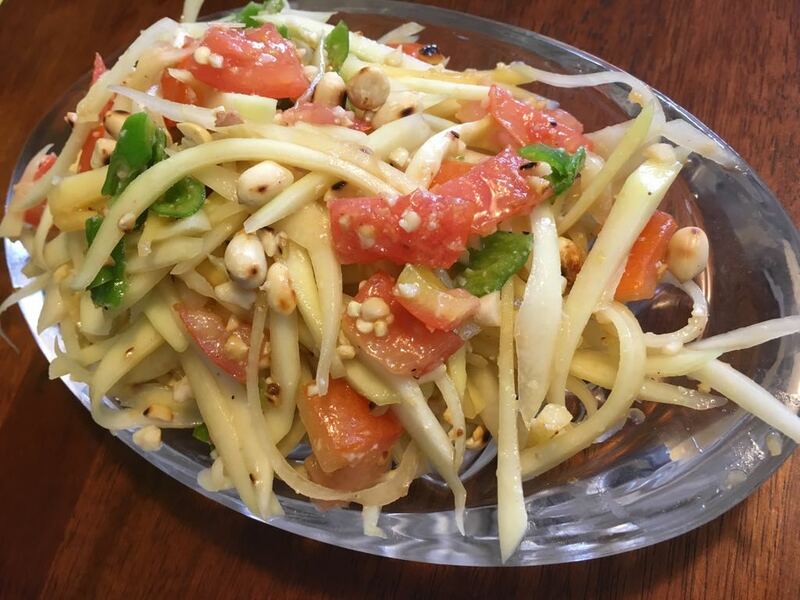 Grate the raw papaya into thin long Julienne. Pound the garlic, green chillies, tomotoes, peanuts, palm sugar and rock salt. Add lemon juice and oil and mix well. If you are using fish sauce and shrimp paste this is the time to add it. 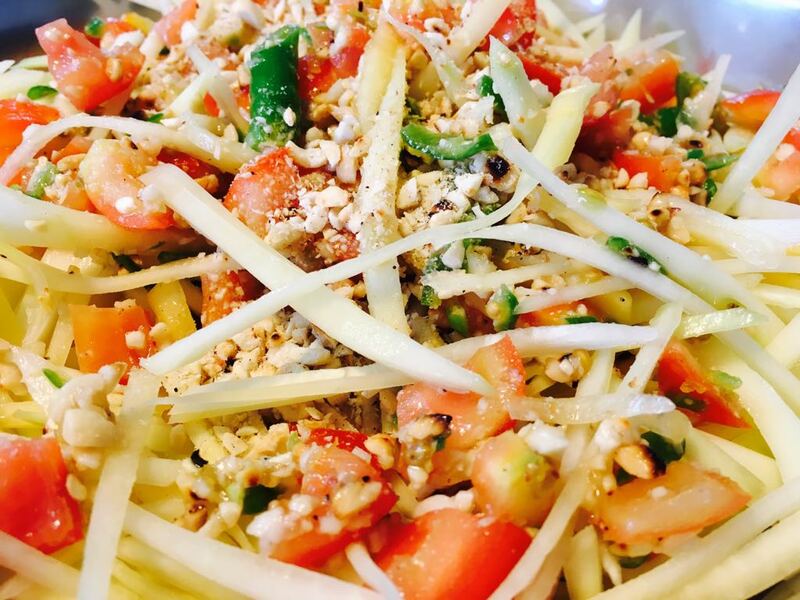 Add the papaya to the salad dressing and mix well. Garnish with some more peanuts.